Pinedale Online > News > July 2009 > Green River Rendezvous - 2009 Photo Gallery > Go! The Rendezvous Ramble is sponsored by Allen Agency and Tegeler Insurance. Participants received a t-shirt. Proceeds go to benefit the McKenzie Meningitis Foundation. 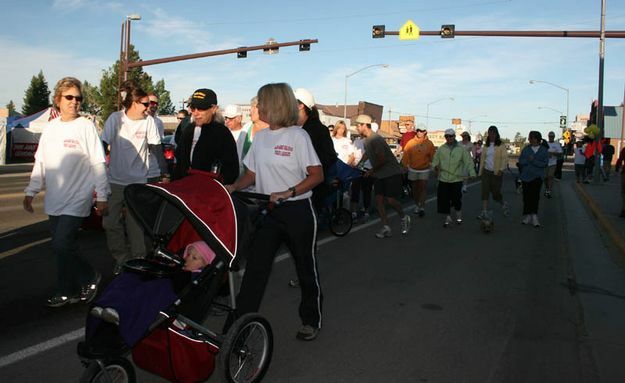 Approximately 125 people participated in this year's Rendezvous Ramble.